The Pinsapo (Abies pinsapo Boiss.) was not described until 1837 by the Swiss botanist Boissier. 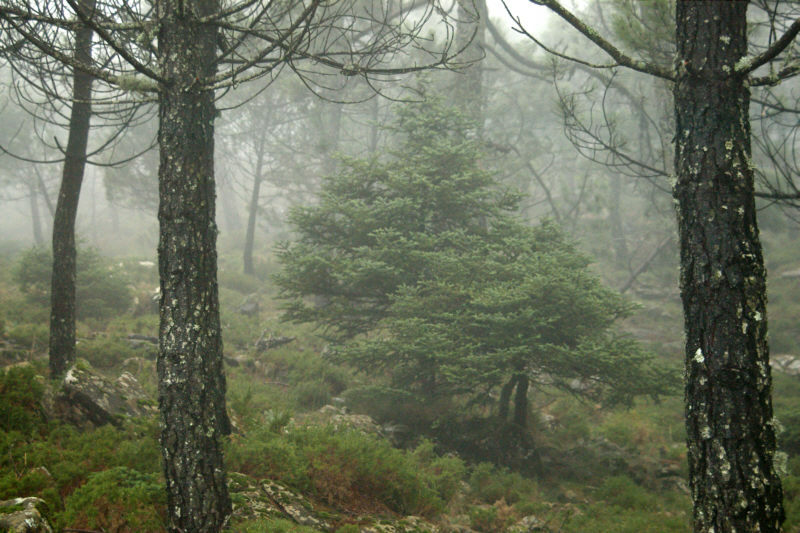 The tree is thought to be a relict from the warmer, wetter mid-tertiary (10-20 million years) and is found in only three places in Spanish mountains that receive much more than an average rainfall. The other two places are the Parque Nacional de Grazalema, and the Parque Nacional de los Nieves, both of which are nearby and considered also to be in the mountain ranges of Ronda (Serrania de Ronda).